You can choose your own studying period from the choices of 1-year, 1.5-year and 2-year periods. Long-Term Course is designed for those who would like to obtain necessary level of Japanese proficiency which allows you to study at colleges, occupational colleges and/or universities, etc. and work at companies and live a standard life in Japan. All the classes are made in Japanese only for the purpose of improving all the four language skills (listening, reading, speaking and writing) you need to master. Our teachers devotedly and thoroughly teach Japanese language to you so that you will be able to improve these four skills. 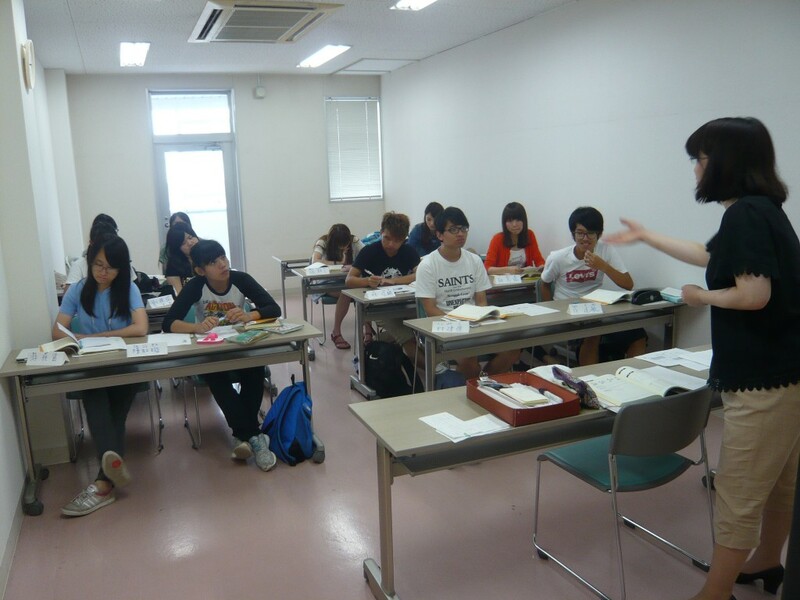 Japanese Language Proficiency Test is conducted every July and December. We offer you preparatory lessons for this JLPT. If your Japanese Proficiency Level is at N3 (Intermediate Level) or higher when you enter our school, you can choose your own class from these two choices；Class for Examination for Universities/Other Educational Institutions or Practical Japanese Conversation Class for Job-Getting/ Standard Social Life. This Long-Term Course includes Math and General Science Classes for your passing entrance examinations to and studying at universities. Plus, Japanese Kanji-Character Classes are provided especially for those who are from non-kanji countries. If your Japanese Proficiency Level is at N5 or Beginner Level at the time of admission, you will be required to obtain the JLPT N1 Level in 1.6 or 2 years after your admission. ※As a result of the level check test, we will decide your class. Lessons will be offered in the morning or in the afternoon depending on the class. Generally speaking, you need JLPT N2 or higher to pass the entrance examinations to and study at colleges, universities and/or other educational institutions, and you need N1 level to get a job at companies in Japan and play an important role there. If you are at JLPT N5 or so now, you will need about 1 year to reach N2 Level and about 1.5 or 2 years to reach N1. We fully support all our students through the following curriculum so that they will be able to improve their own Japanese proficiency, advance to higher-level schools and get a job. 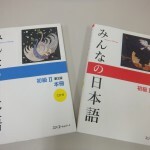 ・With these textbooks, you’ll be able to enjoy daily conversation in Japanese. ・You’ll learn sentence patterns, with which you’ll be able to tell and write simple ideas to others. ・You’ll be able to understand information on ads, signs and notices seen in your daily life. 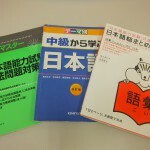 ・With these textbooks, you’ll be able to enjoy simple conversations and discussions in business scenes. 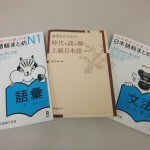 ・You’ll be able to read & understand books and newspapers written in plain Japanese. ・You’ll be able to understand daily Japanese conversation and TV/radio news at natural speed. ・You’ll be able to write your ideas in relatively long sentences. ・You’ll be able to enjoy discussions at general level. ・You’ll be able to read & understand magazines, newspapers and books written in normal Japanese. ・You’ll be able to read & understand relatively specific sentences. ・You’ll be able to understand relatively long sentences and general lectures. ・You’ll be able to understand conversation in business scenes. ・You’ll be able to make speeches on relatively specific themes. ・You’ll be able to write your opinions and thoughts in a logically and objective way.